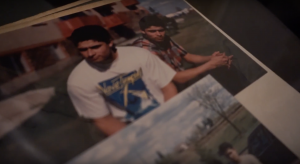 ASIA 475, Documenting Punjabi Canada, is an advanced-level oral history course that was developed by UBC Asian Studies’ Dr. Anne Murphy as part of a larger effort to further Punjabi Studies at the University of British Columbia, and to connect it to the community. The course was first offered in 2015W by Dr. Murphy and Ajay Bhardwaj, a documentary filmmaker and UBC Asian Studies PhD candidate, taught the class in 2017W and will teach it again in Term 2 of this academic year, 2018W. Mr. Bhardwaj taught a similar class as a part of the Vancouver Summer Program this summer, in a special program that brought together this class with an analogous class in the Asian Canadian and Asian Migration Studies Program. Exploration of the history of the Punjabi Canadian community through traditional text-based methods and oral history collection (in English or Punjabi). ASIA 475 explores the history of the Punjabi Canadian community through traditional text-based methods and oral history collection (in English or Punjabi). This allows students to discover Punjabi Canada, while simultaneously promoting the documentation and dissemination of its history. ASIA 475 gives students a unique opportunity to interactively explore lived experiences in relation to a dynamic Punjabi-Canadian socio-historical context. In previous years, students have explored topics that are closely tied to their own lived experiences by highlighting narratives of the Punjabi-Canadian community, as well as that of other communities (such as Indigenous communities and the Tamil Sri Lankan community). Students have chosen to investigate topics that deal with intimate shared stories of multiculturalism, politics, immigration, racism, intergenerational identity formation, gender inequality, cross-community interactions, and even music (to name a few student research topics!). These diverse oral histories have come to light partly because ASIA 475 students are presented with multiple resources and guidance that show them how they can independently and collectively produce, edit, and eventually archive oral history at UBC. Not only do students interview community members, but they also engage with one another directly and with guest speakers through critical discussions in a seminar-based class to construct sound, video, and literature products. These projects have taken various shapes, ranging from creative visual documentaries to collections of written poetry. 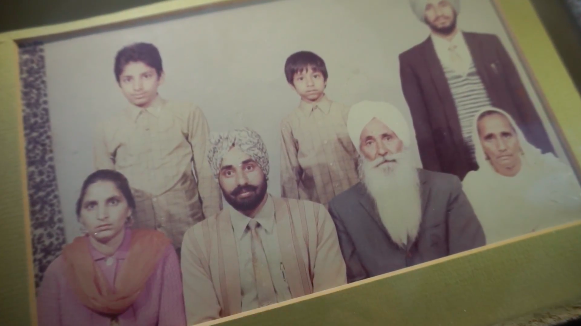 Some of the co-created oral history projects have also been showcased in larger public settings in both Punjabi and English as part of the Harjit Kaur Sidhu Memorial Program and in commemoration of “Canada 150+.” (Be sure to check out the Punjabi studies blog to view student video projects here. ASIA 475 has received praise from past students themselves as well. Lovneet Aujla, an undergraduate Sociology and Asian Studies student at UBC (and my brother), recalls his participation during 2017W and the lasting impact that ASIA 475 has made on his understanding: “I enjoyed the freedom that was given to us in crafting our projects. The course is very much set up as a term-long “workshop” that blends theory, history, and documentary. Because of the structure, ASIA 475 is a class that teaches, and continues to teach even after completion. ASIA 475 made me appreciate the contributions that Punjabi Canadians, like myself, have made and continue to make and it stood out as a course that really does reaffirm this idea that all stories matter.” – Lovneet As the Teaching Assistant for ASIA 475 in 2017W and having taken the course with Dr. Murphy in 2015W, I can say from experience that student-led class projects become more than just “projects.” By the end of the course, projects are transformed into actual pieces of Punjabi Canadian history – oral histories that have the potential to alter Canada’s past, present, and future, and what Canada means to us and to our communities. I believe that by taking ASIA 475, students are provided with valuable lifelong lessons that help them to appreciate and construct history from a subversive perspective that bring Punjabi historical representations into the centre of an understanding of Canada as a whole.